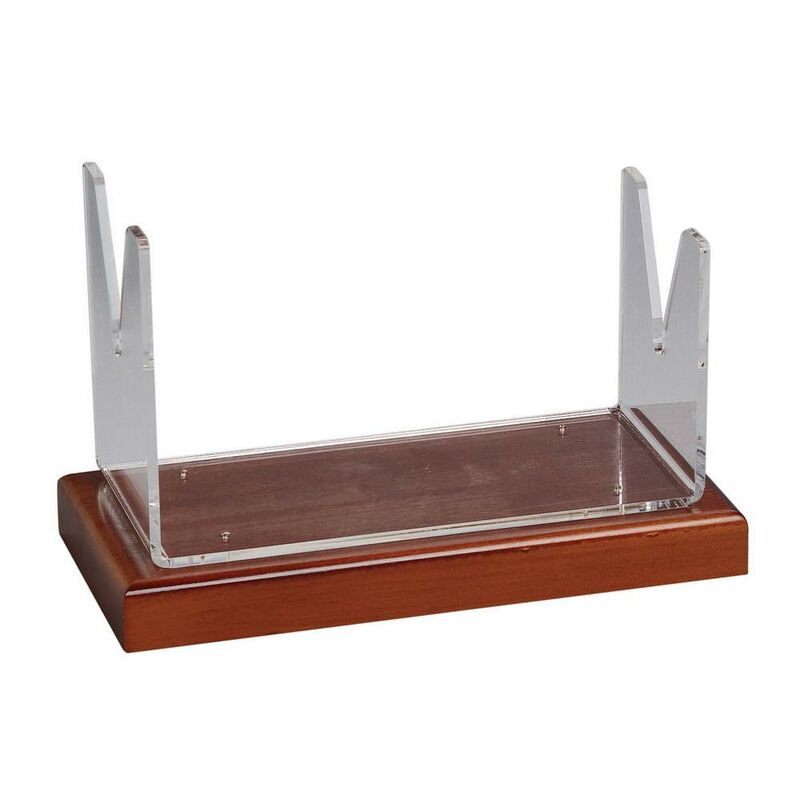 This Acrylic Shofar Stand Is Affixed To A Wooden Base And Will Hold A Small Size Shofar. Great For Shofars Under 18" Long. The Stand Is Approximately 6.5" Long. For A Larger Shofar, 18" Or Longer See The Large Shofar Stand Listed Below.